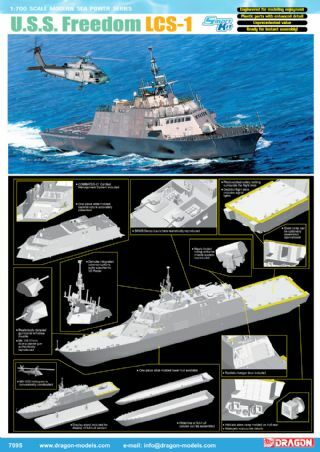 USS Longbeach (CGN 9) is a unique ship, principally because it was the only vessel in her class. 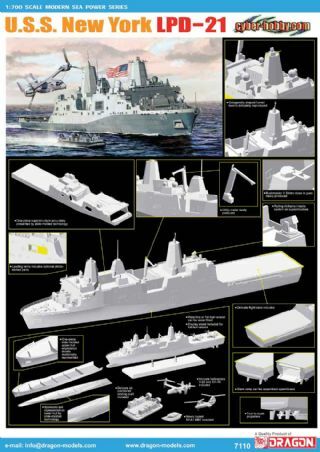 And what US Navy class was she in? 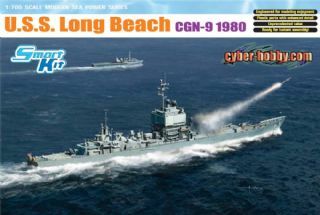 The Longbeach was a nuclear-powered guided missile cruiser commissioned on September 9 1961. 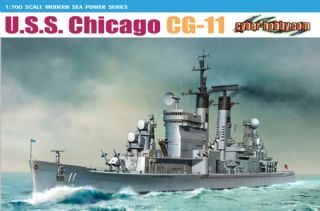 It also had the distinction of being the USA’s first all-new cruiser design since WWII, and since cruisers since then have generally been based simply on up-scaled destroyer hulls, her crew aptly described her as “The Only Real Cruiser.” USS Longbeach had a pair of 5-inch 38-calibre guns mounted amidships, and at the time of her decommissioning in July 1994, the upgraded cruiser had two Standard Missile launchers, two Tomahawk cruise missile launchers, two Phalanx CIWS and Harpoon missile launchers. 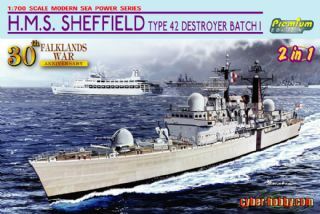 The cruiser’s service was concentrated in the Atlantic Fleet from 1961-66, before transferring to the Californian coast. 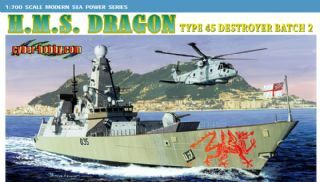 It saw combat in the Gulf of Tonkin during the Vietnam War, and also endured long enough to provide support during the 1991 Gulf War. 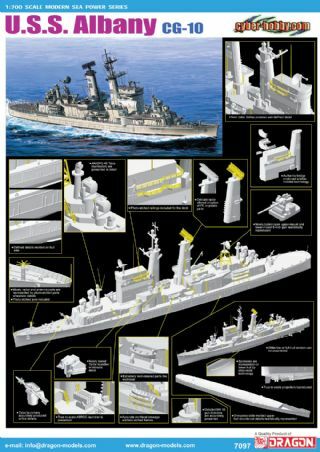 USS Longbeach, this unique naval vessel, served for 33 years before settling into its current resting place in Puget Sound, Washington. 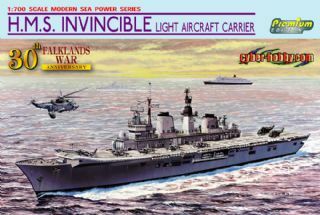 Cyber Hobby has produced a superb 1/700 scale kit of this nuclear-powered cruiser. 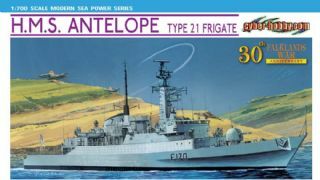 The market has proved exceptionally responsive to Cyber Hobby’s line of 1/700 warships, owing to their high quality and unique subject matter when compared to other products available on the market. Item No. 7091 will be no exception. 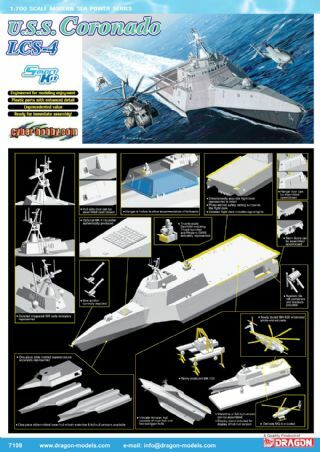 It is a fine model, and except for the two mid-ship gun turrets, the ship is a completely new tooling. Parts are cleverly engineered to fit together accurately and without fuss, plus the detail held by the plastic is exemplary. 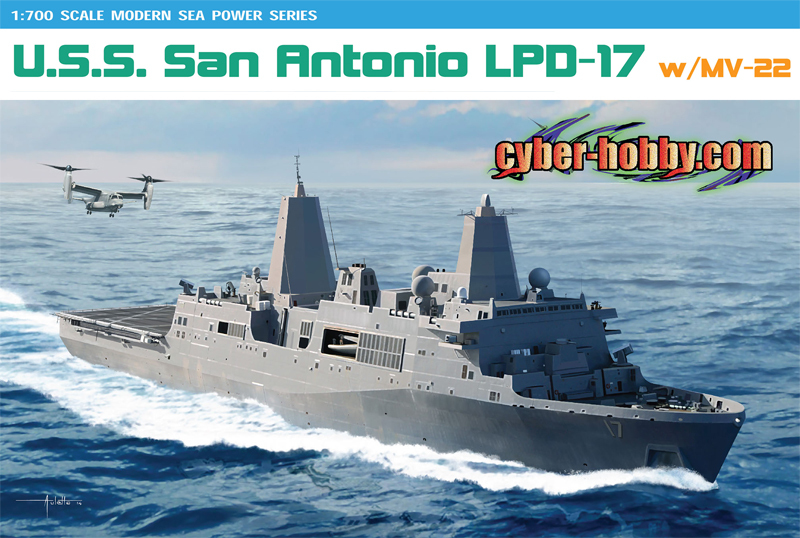 The original USS Longbeach was a one-of-a-kind ship, and this 1/700 model of it is equally special. 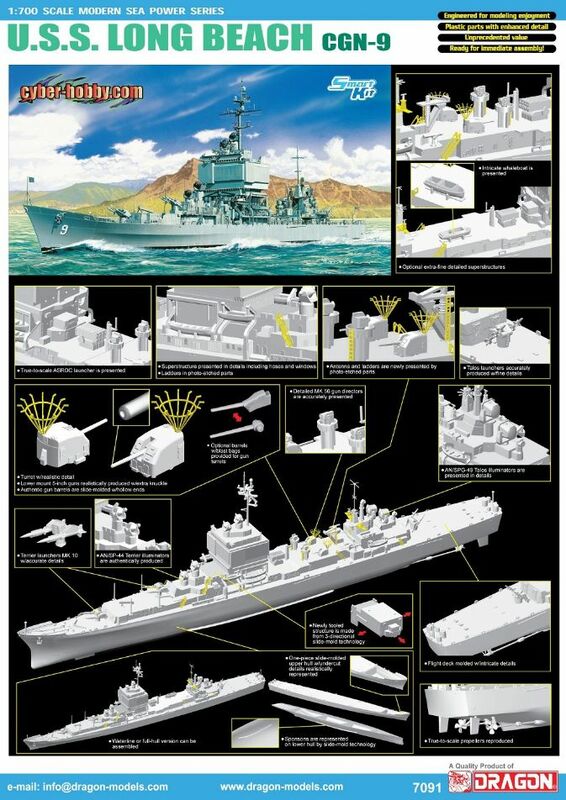 Modelers can now add this novel nuclear-powered guided missile cruiser, a “real cruiser”, to their collections!